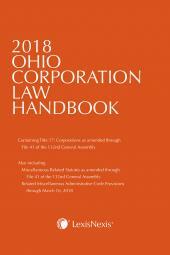 The undisputed authoritative source on Ohio's blue sky laws, this set combines the formal requirements and more informal aspects of Ohio securities practice, explaining all aspects of Ohio blue sky practice, from routine registration, exemption, and liability questions to more complex issues involving Ohio's merit requirements. 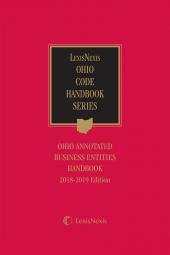 The undisputed authoritative source on Ohio's blue sky laws, this set combines the formal requirements and more informal aspects of Ohio securities practice, explaining all aspects of Ohio blue sky practice, from routine registration, exemption, and liability questions to more complex issues involving Ohio's merit requirements. Supplemented annually, it also covers specialized topics, such as Ohio broker-dealer licensing, tender offers, and enforcement issues. Howard D. Friedman is Distinguished University Professor of Law and Director of the Cybersecurities Law Institute at the University of Toledo. His primary teaching areas include Corporate Law, Securities Regulation, Business Associations and Constitutional Law. Before entering teaching, Professor Friedman was employed as an attorney with the Securities and Exchange Commission in Washington, D.C. Professor Friedman has been active with the Ohio State Bar Association, currently serving on its Corporation Law Committee and chairing its Securities Law Subcommittee. Thomas E. Geyer is a member of the law firm Bailey Cavalieri LLC. He practices in the areas of directors and officers insurance, corporation law, and securities law and regulation. 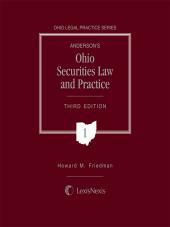 He was Commissioner of the Ohio Division of Securities from 1996 to 2000. He also served as a Division Enforcement Attorney (1994-1996), and Assistant Director of the Ohio Department of Commerce (2000-2004).